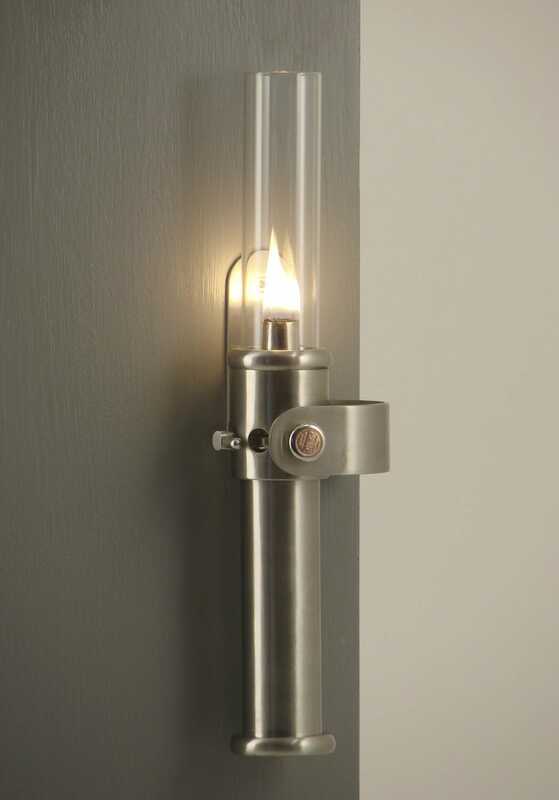 The Cabinlite is a modern stainless steel oil lamp for mounting on the wall. The 10’’’ circular burner emits about 8 “light watts” and about 220watts of heat. Material is stainless steel except circular burner made of nickel plated brass. Volume of oil container 0,14 liters. Burning time about 8 hours. Height 343mm. 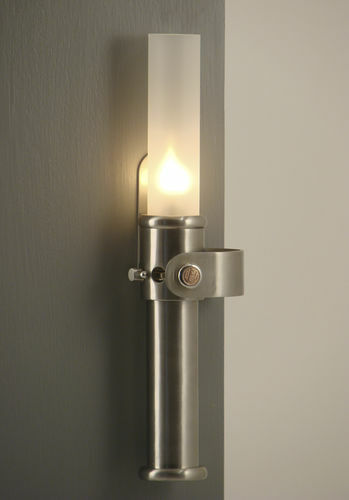 Depth from wall to magnet knob is only 76mm. Width 92mm. Weight 1kg (without oil). Lamp glass is heat resistant and dishwasher-safe borosilicate glass.